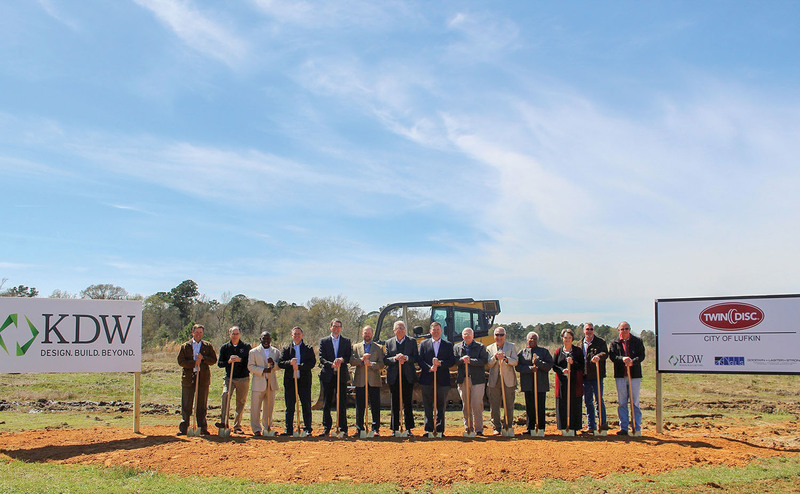 Twin Disc Inc., the Racine, Wis.-based global leader in power transmission technology, recently broke ground on a new manufacturing and distribution facility in Lufkin, Texas. The new operations center is set to be up and running by January 2020. The 50,000-square-foot manufacturing facility will be geared primarily as an assembly plant for Twin Disc’s complete industrial product line and as a distribution center for new products coming from Europe to the U.S. market. The new facility will focus on producing power take-offs and clutches for heavy duty industrial applications, including agriculture, construction, pumping, fire and rescue, material handling, forestry, rail, military and mining. According to Twin Disc, the new manufacturing and distribution center will initially employ 20 to 30 people in the first year, with growth anticipated. Twin Disc will need assembly workers, material control employees and logistics specialists at the Lufkin, Texas, base of operations. From its founding in Racine, Wis., in 1918 as a manufacturer of farm tractor clutches, Twin Disc has grown into a worldwide leader in power transmission technology. Best known in the maritime industry for its gearboxes, Twin Disc over the years has grown to manufacture transmissions for both offshore and land-based applications as well. Worldwide, Twin Disc has about 800 employees. The company has bases of operation in North America, Europe, Asia and the Pacific, with a presence in Latin America as well. The company’s current product line includes marine transmissions, surface drives, propellers and boat management systems, power-shift transmissions, hydraulic torque converters, power take-offs, industrial clutches and control systems. Twin Disc’s corporate and manufacturing headquarters are in Racine, Wis. Besides the forthcoming Lufkin, Texas, manufacturing and distribution facility, Twin Disc will open another facility in Racine in May focused on distribution of the company’s aftermarket products. Caption for photo: Groundbreaking ceremony for new 50,000-square-foot Twin Disc manufacturing facility in Lufkin, Texas.